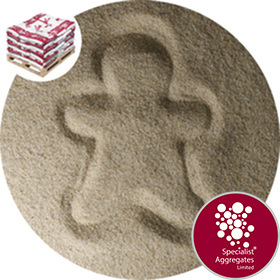 Natural play sand, colourfast, non-staining and suitable for use with water. Suitable for children's play, urban recreation, art installations and staging. 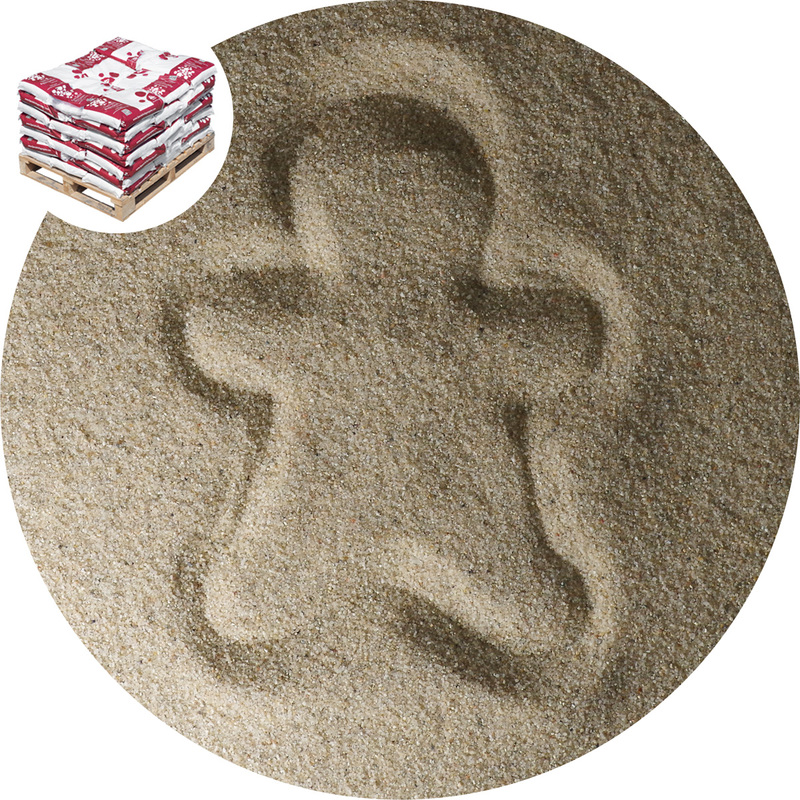 Naturally occurring sand CE accredited for children's play. 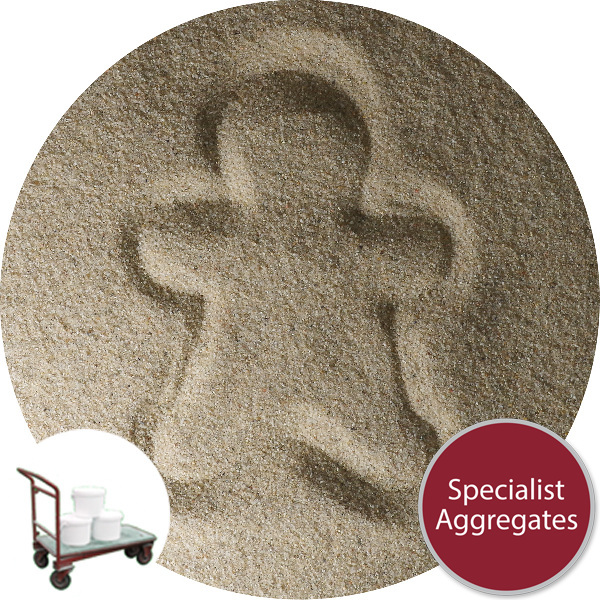 This rounded river-worn silica sand has been specifically chosen for its particle shape then washed, dried and graded to ensure that harsh "gritty bits" and dust are removed. The product's compliance with EU legislation allows our customers to specify and use with confidence for children's play, pop-up urban recreation, art installations, and event staging. The sand is colourfast, non-staining and suitable for use with water. Sensible precaution for film and photographic shoots: first rinse with clean water to remove any undersized particles which may produce an initial water clouding. Whilst the sand is free draining if it becomes contaminated or dirty it may be washed with clean water. The product provides a medium to fine general purpose sand for recreation, including school jump pits and play areas. The sand is also recommended as a brushing in sand for the maintenance of astro-turf type surfaces. We take great care to provide accurate images, however, shade variations can occur with natural sands, gravels and crushed rock aggregates. Please ask for samples if colour is critical to your application. Part 3 : Defining element migration. CE: This product meets EU safety, health and environmental requirements. 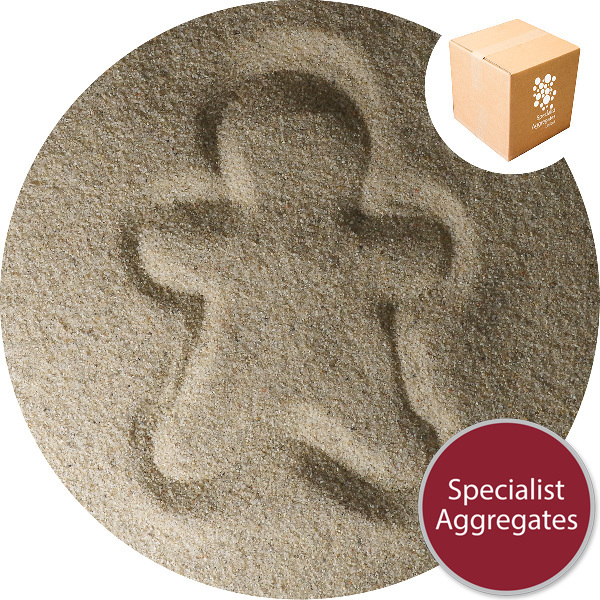 Specify: Natural Sand, for Play, Recreation & Staging from Specialist Aggregates.